You can have so much fun combining all your favorite colors and patterns of cardstock to make paper die-cut flowers with big round metallic centers. My floral centerpiece is perfect for the Thanksgiving table or any room decorated in earth tones. I love fall colors any time of year. I also love Smoothfoam’s surface, look how beautifully those metallic paints shine! Click here to get the full project instructions on my blog. 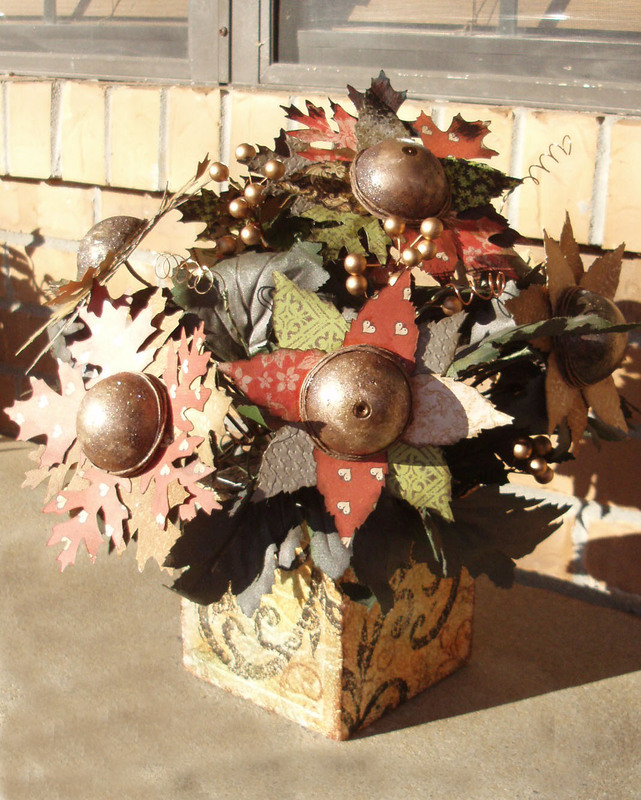 This entry was posted in Home Décor Crafts and tagged Ball, Brown, Cube, Flowers, Metallic by Candice Windham. Bookmark the permalink. LOVE THIS! There are so may options, colors and shapes you could do. Nice job!